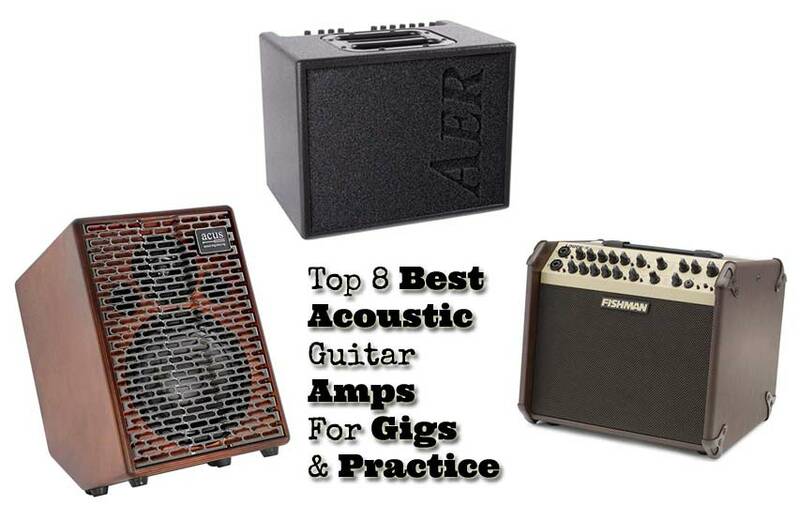 For a lot of guitar players an acoustic guitar amp is a luxury product and not a necessity. Usually it becomes interesting for musicians who want to play with their acoustic guitar at small clubs, bars, cafe’s, coffee houses and for busking. But there are also musicians who have found the holy grail in the acoustic amp for practicing purposes and playing for enjoyment. I haven’t had an acoustic guitar amp for a long time myself, because whenever I played acoustic on stage I usually plugged directly into the mixer, using our own band’s P.A. system. Fortunately, I’ve had the pleasure of playing and trying out many amps over the years from guitar students, fellow musicians and guitar shops in the area. A while back I decided to buy my own acoustic amp because I was asked to play for a small audience of around 50 people. But then something unexpectedly happened. One afternoon the amp arrived at my home, I plugged in my guitar, started playing and I couldn’t stop anymore. The amp sounded so great and mesmerising. I played the next day, and the next, and the next, and I still play it every day (yes I do sleep and eat in between). I am sold, I am completely sold. I never had so much fun practicing, playing and singing songs at home, and also playing the gig was heaven. I was totally swept away by the sound and power of the amp carrying the performance to a superior level. I must admit it’s due to a high quality acoustic guitar amp that sounds really incredible. Nonetheless, it adds major value to practice, playing and performing. So wherever you are in your guitar journey you should try plugging your guitar into an acoustic amp and see where it will take you. You never know, it might change your life as a musician. 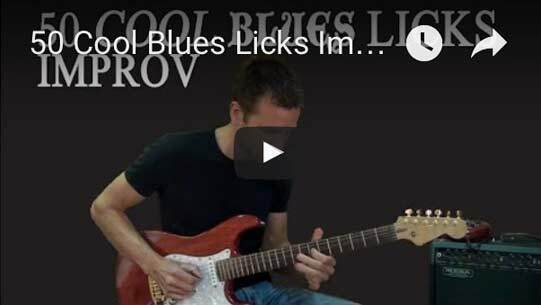 It could be your trigger and stepping-stone to playing and performing for a small live audience, or just having a blast playing and practicing at home. Today we got a list of eight awesome acoustic guitar amps in different price ranges, watts, size and quality, all unique in their own way. The amps are great value for money, and ideal for practice and gigs. 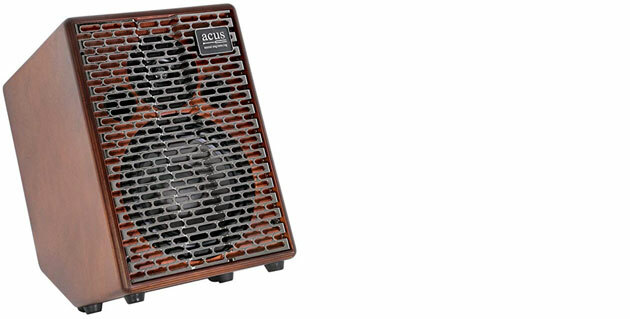 The ACUS Oneforstrings 8- Simon is one high class acoustic amplifier. What you hear is beautiful, sparkling, full, and a real natural sounding tone. It’s perfect for performing as well as practicing and recording. You can also use it as a mini PA system. The innovative and stylish control panel features custom styled knobs, micrometric and functional. With equalisation, the tone controls modify frequency levels without suppressing the original note, even at lower and upper registers. The whole range also features multiple channels and reverb with processors exclusive to Acus. Also provided are line outs, mic and auxiliary inputs. The Acus has a protective metal grille and carry handles, perfect for on the road. The Italians at “Acus Sound Engineering” have done an amazing job. It is versatile and responsive, with a full range of functions specifically tailored for acoustic instruments. It’s standing easily alongside high quality amps like AER (see next). It’s the perfect amp for acoustic guitar, singing and other acoustic instruments. The AER-Compact 60/3 is another high quality acoustic guitar amp from German design and engineering. AER are known for building amps for the professional guitar player. Guitar players like Tommy Emannuel and Eric Johnson are among them. While the amp seems small at first sight, don’t underestimate the amazing sound, volume and tone from this amp. The amp has a clear and transparant sounding tone. So what you hear is what you get, or in other words what you put into the amp is what you get out of it. At the same time, it’s sounds crystal, crispy, dynamic, punchy, modern and loud. It’s one high quality solid piece of equipment. Extra: 6.3 mm Jack instrument input, XLR Combo mic / instrument input, 6.3 mm Jack line output, 6.3 mm Jack FX send & return, 6.3 mm Jack tuner output, 6.3 mm Stereo jack, XLR DI output, 6.3 mm Stereo jack is suitable for 3/8″ microphone stands or 35 mm by means of an adapter (not included), Bag included. The Fishman PRO-LBX-600 Loudbox Artist is a great solid acoustic guitar amp that is perfect for small to medium size gigs and home practice. While it may not match up to the previous mentioned AER Compact 60/3 and Acus OneForStrings 8 – Simon, the much more attractive price tag will certainly deliver an ultra-clean, beautiful and natural sound with more than enough volume and sparkle to shine on the stage. As the name reveals, the Boss ACS-PRO Acoustic Singer Pro is aimed at the guitar singer performer with more than enough awesome features for both guitar and vocals. The Amp has a warm, full and rich and vibrant sound and is ideal for small gigs or having loads of fun at home. A standout feature of the Acoustic Singer Pro is its vocal harmony function, which creates live harmonies as you sing and play guitar via real-time key/chord analysis of the guitar input. There are two different harmony types are available, you can add a high harmony (a third above the input), a low harmony (a sixth below), or a unison setting that doubles your voice for more impact. You can turn the harmony function on and off with an optional footswitch. The amp’s also has a built-in looper allowing you to build live backing with guitar, vocals, effects, and more. Also included is BOSS’s Acoustic Resonance, which employs advanced processing to eliminate the hard, sterile sound produced by the piezo pickups in most stage guitars. This powerful feature not only enhances the character of your pickup, but also restores the complex natural resonances that are so often lost when amplifying your acoustic. The channel provides a three-band EQ as well, plus a phase switch and notch control for keeping feedback issues at bay. Two types of chorus effects and a guitar-optimized reverb are also on hand to add a finishing touch to your sound. A great all-in-one package for the solo guitar singer performer or duo. If the shoe fits, wear it. The AC-33 is the world’s first AA battery-powered amp made specially for the acoustic guitar, which is good news for acoustic buskers. The amp has a rich, deep, stereo sound. Light, compact and portable yet powerful, the AC-33 delivers real stereo sound, guitar and Mic / Line channels, a beautiful chorus and natural sounding reverb, anti-feedback and a Phrase Looper, rendering 40 seconds of record time, controllable from the amp or with an optional footswitch, perfect to lay down live loops (vocal or guitar) and get creative. Thanks to the battery-driven power, you can take your act anywhere – in the hinterland, on the street, or any event where power is an issue. The AC-33 offers about eight hours of run time on eight AA batteries, good enough for an entire busker’s work day of playing and singing. Playing at larger gigs with a P.A. system available, you can also use the amp as your personal stage monitor using the AC-33’s line outputs. This amp is ideal for practice, travel, around the campfire, busking or as a stage monitor lining out to a larger PA. The Marshall AS50DTM is one good looking 50 Watt acoustic guitar amp. Designed for an ambundance of acoustic instruments, the AS50D can accommodate instruments with magnetic pickups, piezos and microphones – passive or condenser. It is the perfect amp for intimate acoustic gigs, no matter which instrument you are playing. Two channels incorporate many input features. You can run both vocals and guitar through this amp without affecting sound quality. The amp sounds good and natural. You have a regular input on each channel and an XLR microphone input, and RCA input on channel 2. There is also a lineout and a XLR DI Out. There is volume, bass, treble, chorus and reverb for each channel, and anti-feedback eliminates any feedback that might occur. An excellent amp for small performance venues, home practice, recording and busking. The Fender Acoustic SFX has a natural tone and features the adjustable SFX (stereo field expansion) technology that adds a lush and room-filling sound. It’s got an integrated Top-Mount Handle and a there’s a cavity next to the control panel which is great for keeping your picks, capo, tuner or jam track devices. A great solution for acoustic players, the lightweight design and portability suit anyone looking for a grab-and-go rig for small venues, offering a pleasing sound image to people located all throughout the room. The Laney A1+ delivers high fidelity acoustic instrument amplification in a compact, portable and comprehensively specificed package. It is designed to give the discerning acoustic player an amplified acoustic performance to match the tone and dynamics of the top acoustic instruments on the market. It is packed into a compact dual position wooden cabinet with a TüffStüff finish – an extremely tough, ultra-durable polyurethane coating. The A1+ has an integral pole mount, so you put the amp on a standard speaker stand to optimise sound projection. The Laney A1+ is good value for money and aimed at small performance situations like bars, cafe’s and coffee houses. Channels: 2 channels for instruments XLR balanced or mono jack. I love my Fishman Loudbox Artist. I use it for practice purposes and really enjoy it. Two students of mine also have the Fishman Loudbox Artist and they are really satisfied with it. Having the two channels (one for guitar and one for singing) is a great feature. What acoustic amp did you buy for yourself you were so impressed by?